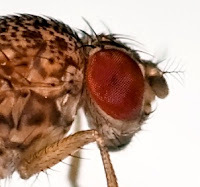 The fruit fly study adds to the evidence "that using toxins in the environment to medicate offspring may be common across the animal kingdom," says biologist Todd Schlenke. When fruit flies sense parasitic wasps in their vicinity, they lay their eggs in an alcohol-soaked environment, essentially forcing their larvae to consume booze as a drug to combat the deadly wasps. The discovery by biologists at Emory University is published in the journal Science. The experiments were led by Balint Zacsoh, who recently graduated from Emory with a degree in biology and still works in the Schlenke lab. The team also included Emory graduate student Zachary Lynch and postdoc Nathan Mortimer. 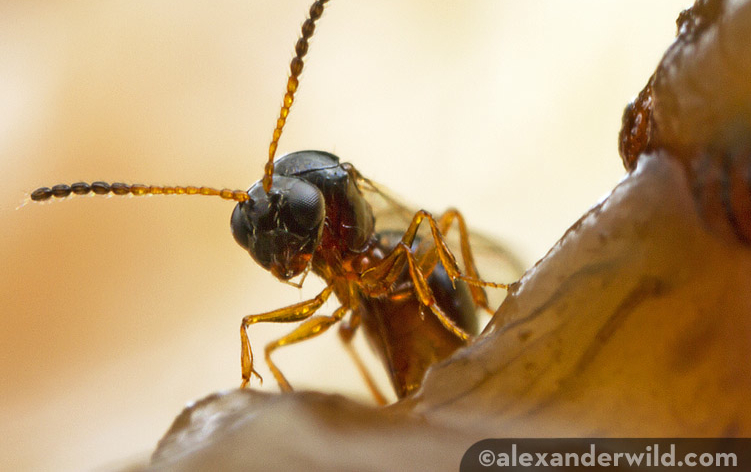 Adult wasps are about to emerge from fruit fly pupae, above, after eating the fruit fly larvae from the inside out. Photo by Todd Schlenke. The larvae of the common fruit fly, Drosophila melanogaster, eat the rot, or fungi and bacteria, that grows on overripe, fermenting fruit. They have evolved a certain amount of resistance to the toxic effects of the alcohol levels in their natural habitat, which can range up to 15 percent. 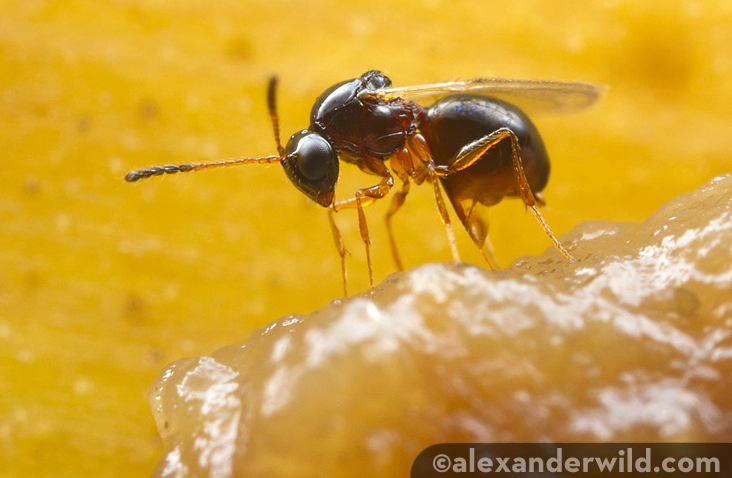 Tiny, endoparasitoid wasps are major killers of fruit flies. The wasps inject their eggs inside the fruit fly larvae, along with venom that aims to suppress their hosts’ cellular immune response. If the flies fail to kill the wasp egg, a wasp larva hatches inside the fruit fly larva and begins to eat its host from the inside out. Last year, the Schlenke lab published a study showing how fruit fly larvae infected with wasps prefer to eat food high in alcohol. This behavior greatly improves the survival rate of the fruit flies because they have evolved high tolerance of the toxic effects of the alcohol, but the wasps have not. A female parasitic wasp, on the prowl for fruit fly larvae to inject with her eggs. 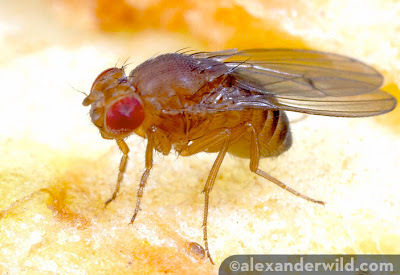 For the latest study, the researchers asked whether the fruit fly parents could sense when their children were at risk for infection, and whether they then sought out alcohol to prophylactically medicate them. Adult female fruit flies were released in one mesh cage with parasitic wasps and another mesh cage with no wasps. Both cages had two petri dishes containing yeast, the nourishment for lab-raised fruit flies and their larvae. The yeast in one of the petri dishes was mixed with 6 percent alcohol, while the yeast in the other dish was alcohol free. After 24 hours, the petri dishes were removed and the researchers counted the eggs that the fruit flies had laid. The results were dramatic. In the mesh cage with parasitic wasps, 90 percent of the eggs laid were in the dish containing alcohol. In the cage with no wasps, only 40 percent of the eggs were in the alcohol dish. Experiments showed that the flies are extremely discerning about differences in the wasps. They preferred to lay their eggs in alcohol when female wasps were present, but not if only male wasps were in the cage. 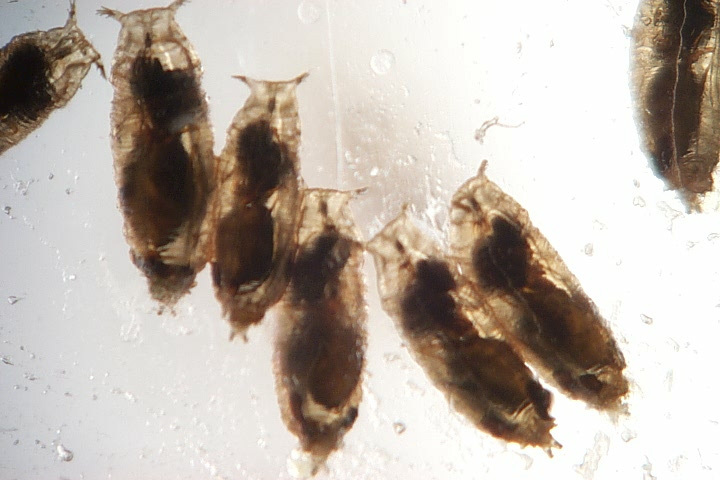 The adult female fruit flies only react to the presence of female wasps that infect fruit-fly larvae, above, and not to male wasps, or to other species of wasps that do not infect their larvae. Theorizing that the flies were reacting to pheromones, the researchers conducted experiments using two groups of mutated fruit flies. One group lacked the ability to smell, and another group lacked sight. The flies unable to smell, however, still preferred to lay their eggs in alcohol when female wasps were present. The blind flies did not make the distinction, choosing the non-alcohol food for their offspring, even in the presence of female wasps. The only obvious visual differences between the female and male wasps, he adds, is that the males have longer antennae, slightly smaller bodies, and lack an ovipositor. The compound eye of a fruit fly. The researchers also connected the exposure to female parasitic wasps to changes in a fruit fly neuropeptide. Stress, and the resulting reduced level of neuropeptide F, or NPF, has previously been associated with alcohol-seeking behavior in fruit flies. Similarly, levels of a homologous neuropeptide in humans, NPY, is associated with alcoholism. Photo of fruit fly eye by Bbski, Wikipedia Commons.